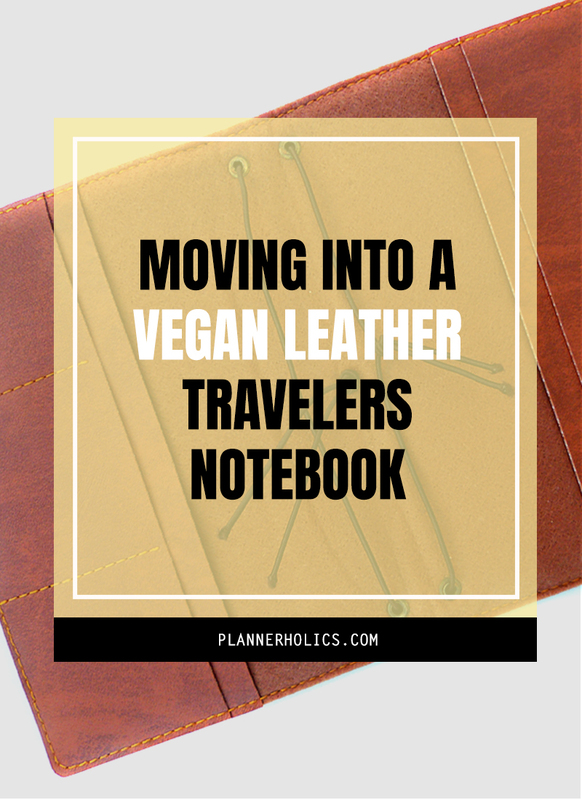 Moving into a vegan leather traveler´s notebook! I´ve tried just about all types of planner systems in the past (rings, spiral...), but there was one that I´ve always been holding off on, and it´s about time that I tackled it. 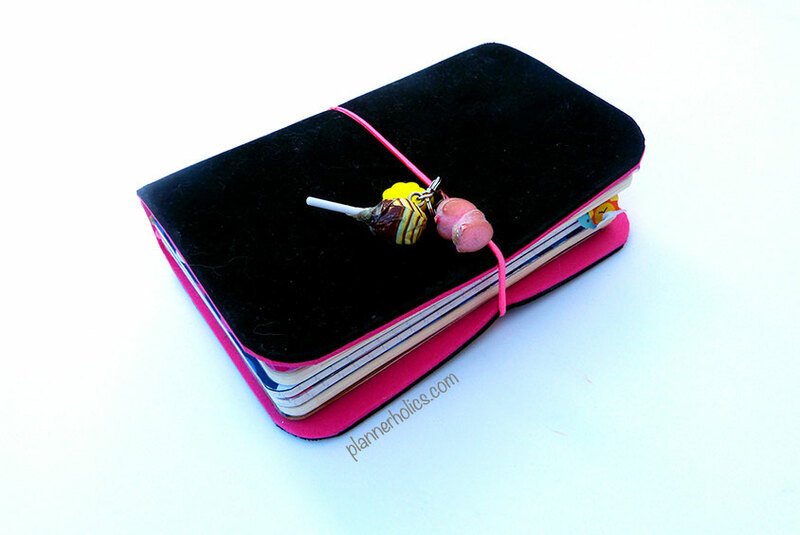 If you haven´t guessed by the title of this post, I´m talking about a traveler's notebook! 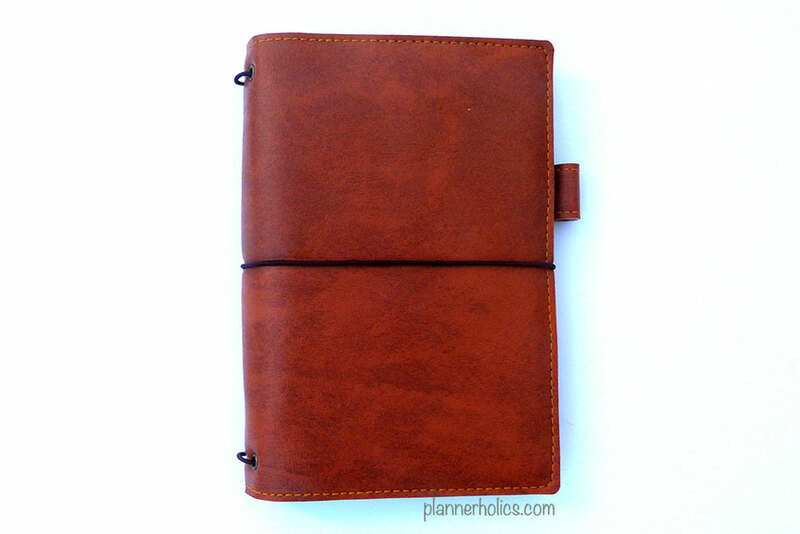 I gave it a small shot about 2 years ago, in a DIY pocket version I made (you can check my very very embarrassing setup video here), but I never really ended up using it, and definitely not as a planner. It was more of my common-place, lists and ideas notebook. Unfortunately, it didn´t get my attention and it was soon shelved. But this time I want to commit. I want a “real” professional-looking, nice and smooth TN. Something light but elegant that can travel with me and keep my plans safe and sound. And it came to be! I searched the most popular brands out there: Midori, FoxyFix, ChicSparrow, PelleStudio, Sojourner, etc. and while they had the most gorgeous TNs, they all had two common factors: ANIMAL LEATHER and PRICEY. I don´t have anything against leather products, in fact, I might have owned a couple of leather coats and wallets in the past, but the thought that an animal had to be killed for me to own a TN didn´t really sit well, and let´s face it, it´s totally unnecessary. 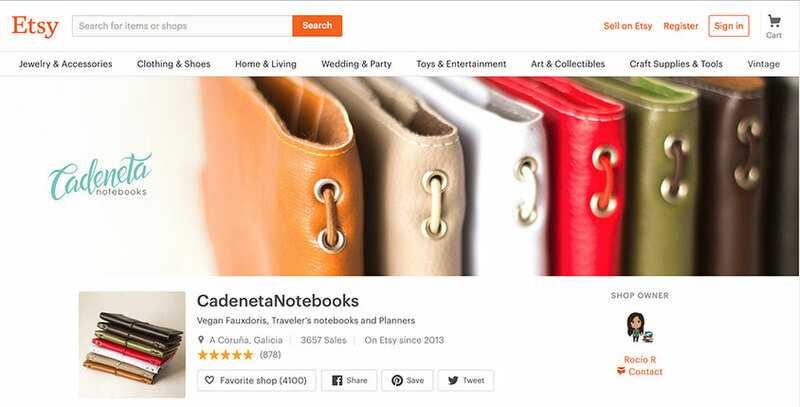 SO, my alternative was a faux-leather option, and what do you know, I landed across a fellow Spanish Etsy shop called “Cadeneta Notebooks” owned by the lovely Rocío, who hand-makes vegan-leather TNs. Her prices are super reasonable and all the options she offered were beautiful! I first contacted her to see if she would be able to make a custom size for me. Her reply was almost immediate and really helpful. 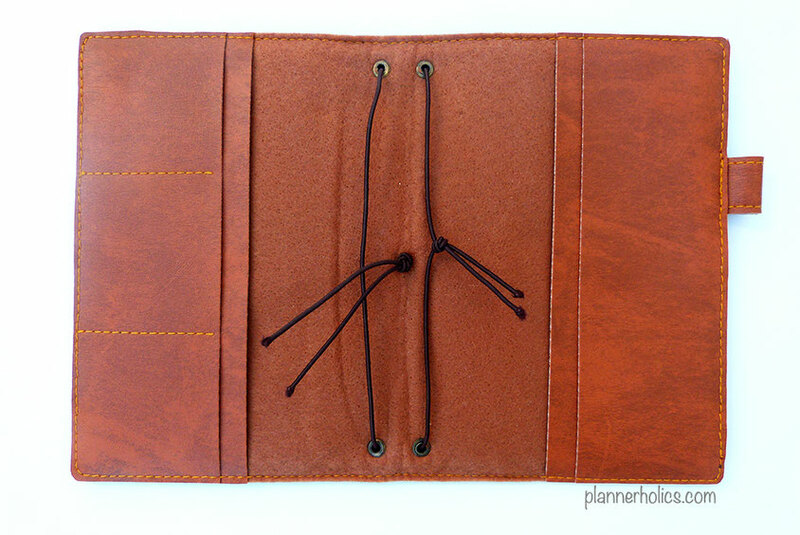 After a few short messages, I had placed an order on my very first custom vegan leather camel traveler´s notebook. 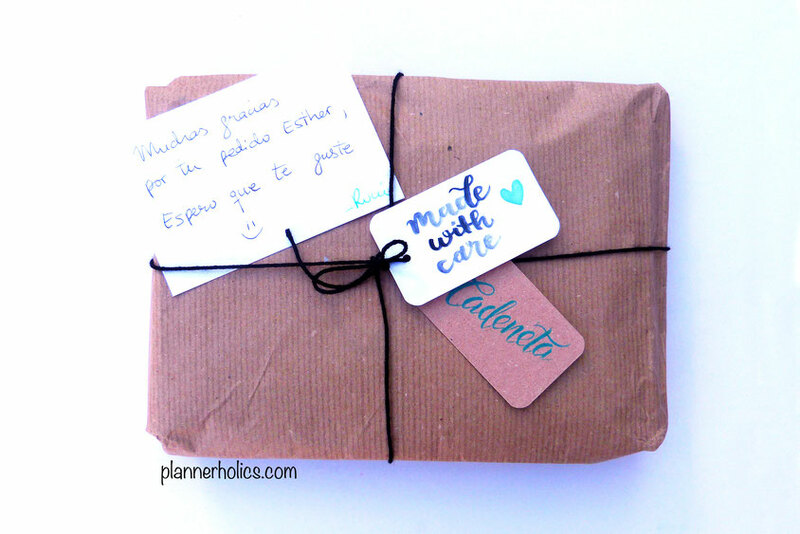 The packaging was lovely and treated with much care, wrapped in kraft paper with two delicate hand-made tags and a very thoughtful personalized note. Every TN includes a blank insert with a kraft cover (64 pages of high quality 90gsm paper), and 2 additional elastic bands to insert more books if need be. The feel of the faux-leather is really soft and almost-plushy. It´s sewn into a felt interior that makes the cover extra sturdy, it´s actually the perfect in-between, not too floppy and not too stiff. It has all the signs of real leather but with the bonus that it´s not! I decided to pick the camel color, as I find it to be a very neutral elegant hue that is perfect if needed to be taken out in public or in an office environment. The material is also very lightweight which makes it the greatest travel companion. 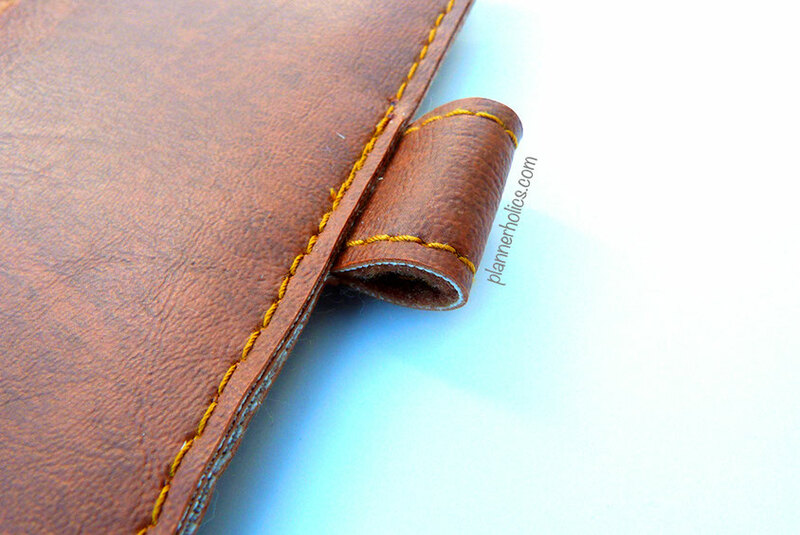 The stitching on the cover is amazingly sewn and done so delicately that it´s hard to believe it´s actually handmade! 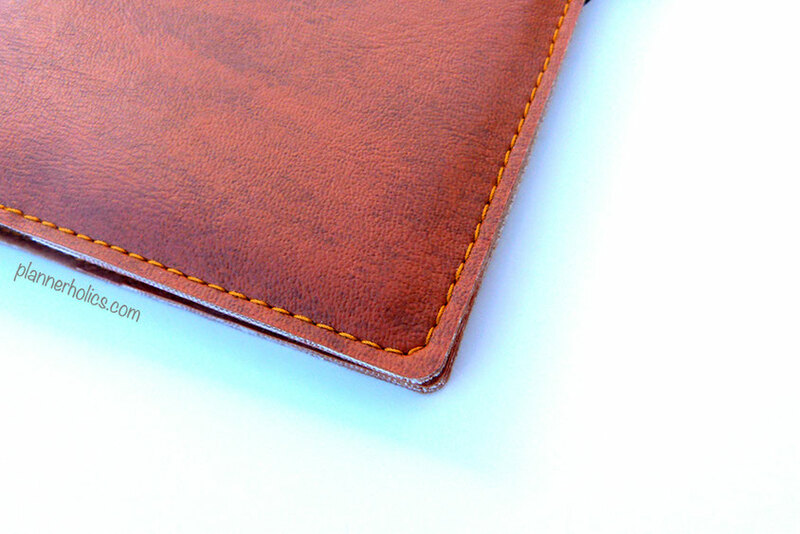 The edges around the entire TN are perfection, rounded and extremely smooth. The attention to detail truly is wonderful, right down to the very last knot and pull. It includes 2 elastic straps in a dark brown color which compliments the camel quite nicely. The inside has space for 3 credit card slots, and 2 side pockets, one in the front and one in the back, to store additional papers or sticker sheets. It has a spine closure, which I find really convenient so the elastic doesn't get in the way when laying your book open. 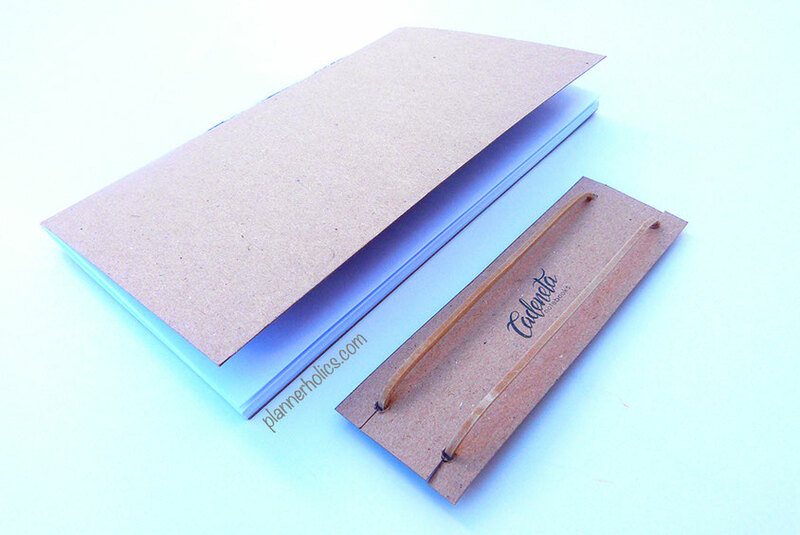 It also includes a pen-loop which you can request in any specific size. I ordered mine to be 15 mm diameter so it can specifically fit my Staedler Pigment Liner pens. Anyway, I´m extremely happy with my purchase and I´m sure it won´t be my last TN cover from this shop. It´s extra helpful to know that she´s also from Spain, so the shipping fee is finally fair on my end. Either way, if you are ordering internationally, the fees are very rational considering the quality you will be getting. I have plans to carry my 2018 planner inside, which is why I had this TN specially sized for it. Will inform you all about that very soon. Until then, go give Rocío a shout-out and show her some love.